It did not hurt at all…. 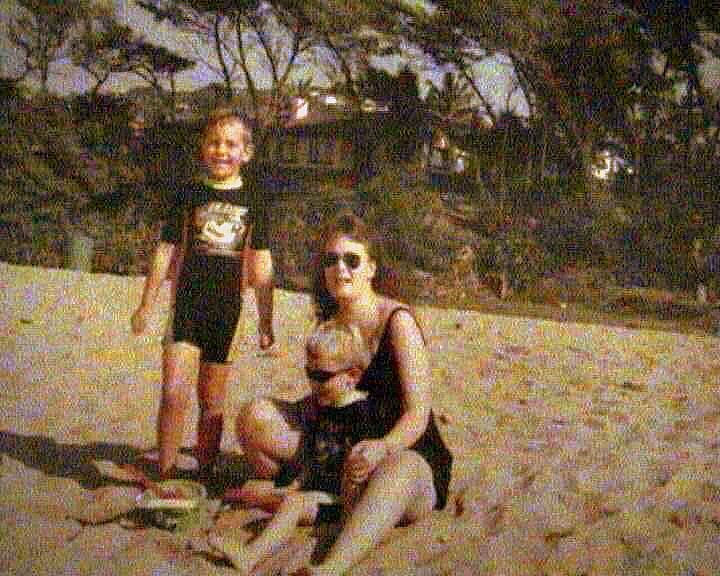 Vic and her boys on the beach. This is an extract from a blog of a father’s journey after the death of his young son. Like all parents he is wracked by feelings of guilt and inadequacy. The x-rays showed that the ulna was broken in three places…. Imagine my horror, guilt, feelings of inadequacy and self-doubt! I worked hard as a young mother. I was young, divorced, a single parent climbing the corporate ladder. My child had been diagnosed with Osteogenesis Imperfecta (brittle bone disease) and I needed a lot of money to keep Vicky alive and living a fair life. She attended a private school. Did I neglect her at times as a child? Yes, I am sure I did. Not because I wanted too but because I had to work extra hard for that bonus or the next promotion! When Vic was a little girl there was no internet and Osteogenesis Imperfecta was a “new and extremely rare” disease. I spend many hours, days, weeks even months researching OI in libraries. I went from doctor to doctor. I tried alternative medicine, physiotherapy and hormone treatment! I have spent thousands of hours on the internet researching every single medical report, diagnoses, blood test result that Vic has ever received. I have bullied doctors, nurses and anyone who ever dared cross our path. An ICU sister once told me I am a control freak and that I feed off Vic’s illness! I can however honestly say that I did my best. I cannot apologize for the mistakes I made as a mother as, at the time, whatever decision I made, I thought it was in Vic’s best interest. Am I special? Absolutely not! I only do what any other mother would do under the same circumstances. I cringe when people say “oh you are so brave” or “Oh you are so special” or “What an exceptional mother you are. Vicky is lucky to have you as a mother”. Nothing could be further removed from the truth… I am the one blessed with an incredibly brave, compassionate, brilliant child! Vic has enriched my life so much! If I could choose a life with a healthy (different) child where I could have a life of my own, I would not. Vic is part of my journey. I come from a long line of very good mothers…My Mom taught us the values of being a “family”, honesty, unconditional love, caring and nurturing… I am surrounded by good mothers. Vic is a good mother to her sons. Esther, Lelani and Michaela are good mothers to their children! All my grandchildren have good mothers. Mothers love the way love is needed. If the child needs caring they get caring, if they need nursing they are nursed. A mother’s love is love in its purest form. She smirked “It did not hurt at all” and I sobbed…. These wise words have remained with me all my life. Good decisions or bad decisions…I did my best…. 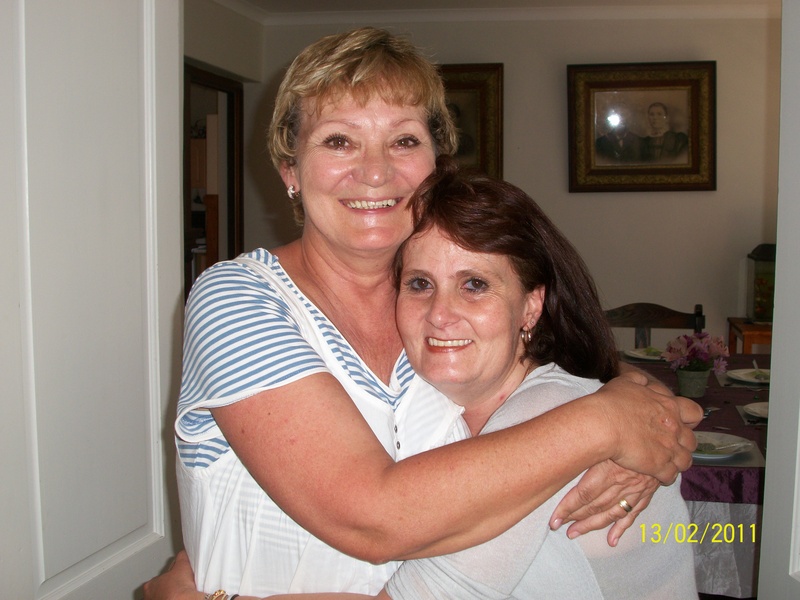 Posted on October 8, 2012 Categories Chronic Pain, Family Life, Grief, Palliative Care, Terminal Illness, Uncategorized, Vicky BruceTags Dying, Grief, Guilt, love, Mother's Love, Osteogenesis imperfecta, pain, terminal illness3 Comments on It did not hurt at all….